The helmet shell is produced by a high pressure heat process with counter-mold and is reinforced by aramid fiber and sealed with an epoxy finish. The high-quality materials and the elaborate production process offer the greatest possible stability and durability by a weight of only 650 g.
The No Limit competition visor helmet offers maximum safety at minimal air resistance. High-quality materials and the elaborate production process provide for the highest possible strength and durability. The break-proof, clear polycarbonate visor with 100% UV protection and anti-reflection, anti-fog, and anti-scratch coatings can make otherwise required sunglasses unnecessary. 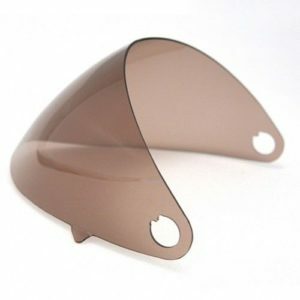 A toned visor (HHe350) is available as an accessory. Use only the best ingredients: High-quality vinyl ester, glass- and aramid fiber fabric – no simple polyester and cheap glass mats! Process these in a high-pressure metallic mold with counter mold – not in a simple, open resin mold. Only that way, a high fiber content can be achieved. By means of an annealing process, the strength of the synthetic material can be improved by up to 70% compared to hardening at room temperature! 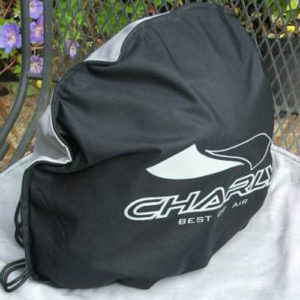 This results in an unbeatable lightweight yet impact resistant and robust outer shell. Never skimp on the varnish as otherwise the helmet would quickly become unsightly. Therefore, only a bake enamel finish in three layers (two in case of the uni-color helmets) with the most expensive paints and the best varnishes comes into consideration. The helmet surface can be coated with another layer of paint without any problems. 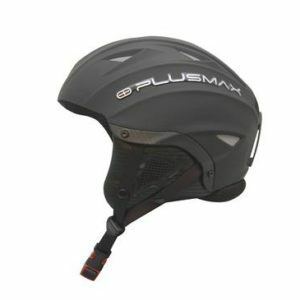 Use high-quality EPS foam Made in Germany as the impact absorption material, otherwise either the helmet dimensions will be larger or the CE certification for air sport helmets (HPG) will not be fulfilled (Attention: Some helmets only fulfill the CE norm for bicycle- or ski helmets!). Perfect fit and maximum comfort can only be provided by a full upholstering with eudermic textiles in fixed sizes. 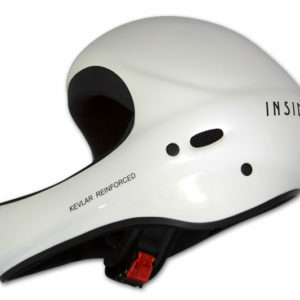 Adjustable internal head straps are appropriate rather for bicycle helmets where ventilation is essential. The interior lining should allow to subsequently put on glasses. As soon as you put the helmet on, there should be as little to feel and see of it as possible. Please check what we consider a large field of vision. The chin strap must feel comfortable and keep the helmet securely on the head. 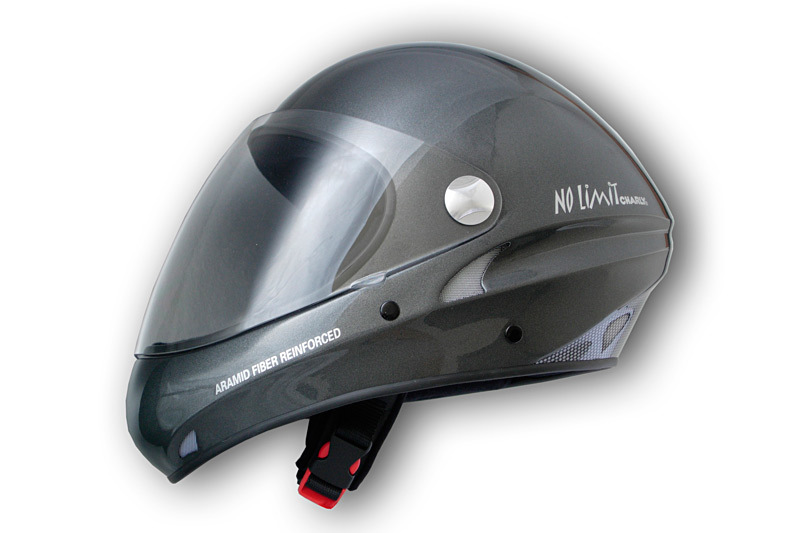 Are you able to converse with someone without difficulty when wearing the helmet? Some helmet manufacturers offer optically identical helmets in differing qualities. 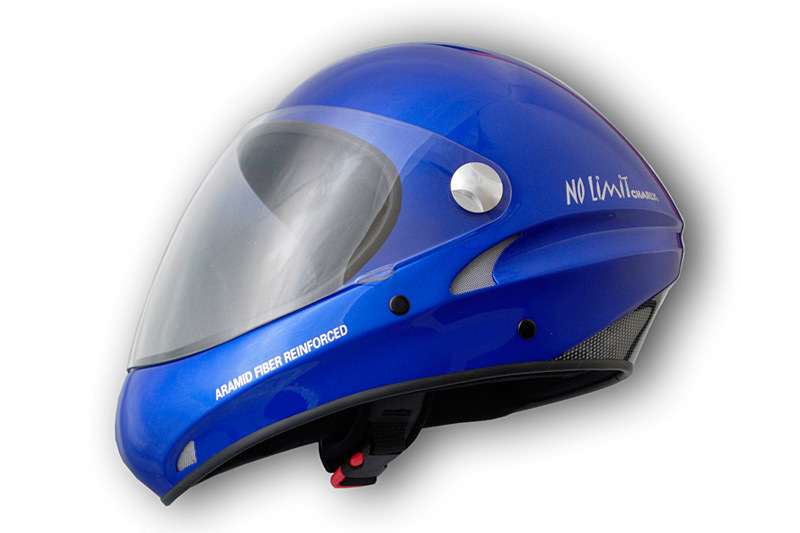 In open man-made material molds, hand-laminated helmets can indeed be produced cheaply, they do not however come up to our standard of quality. The consumer is unable to recognize the difference initially. Only a highly developed pressure process can guarantee a constant quality of the helmet shell with a high percentage of fiber and thus high elasticity and low weight. We guarantee, that all Insider helmets are produced using a high pressure-pressing process with opposite mold in constant quality in accordance with the CE-norm.